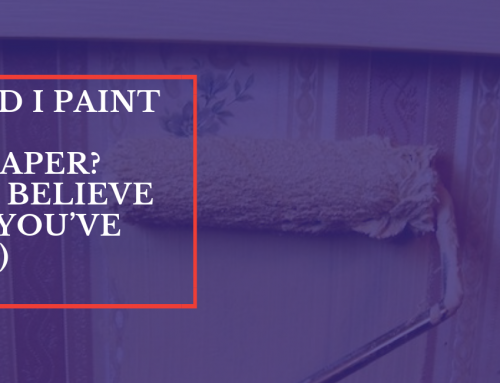 There are a lot of things to consider when deciding whether or not to hire a paint company. 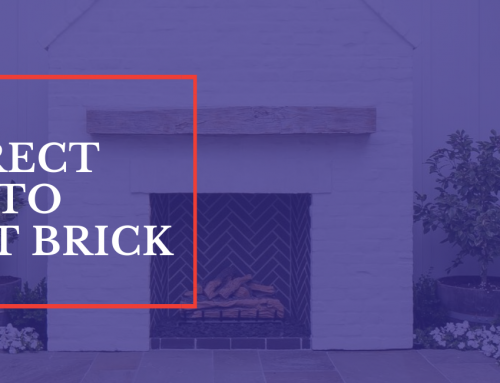 Before starting the paint project on your own, let’s take a look at the different materials and features to keep in mind. Painting the interior is a DIY that many people take on, but often times regret. 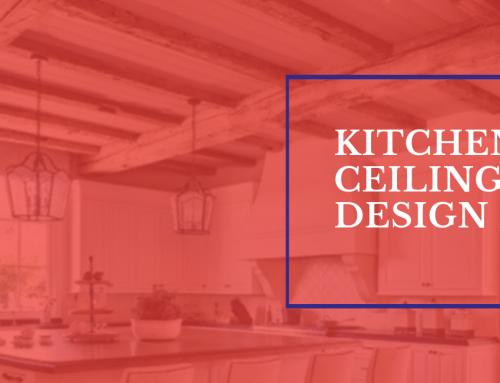 Some advantages that can help decrease DIY hiccups include controlled lighting, level flooring, and reachable surfaces. 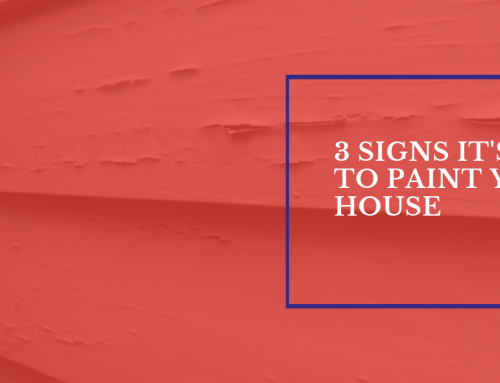 However, if you do not prep right or are not skilled at the job at hand, the imperfections of a DIY interior paint job can be easily noticeable and you’ll wish you would have hired a professional. A happy medium is to try a small portion of the job first, and if you like how it turned out, continue to do it yourself. If you feel it wasn’t up to par or is going to take longer than anticipated, contact a professional paint company. Painting the exterior of your home yourself will depend on if you have the proper equipment and time it will take. 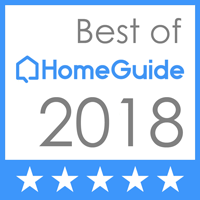 If you have a large home with 2 or more stories, we recommend having professionals do the job. 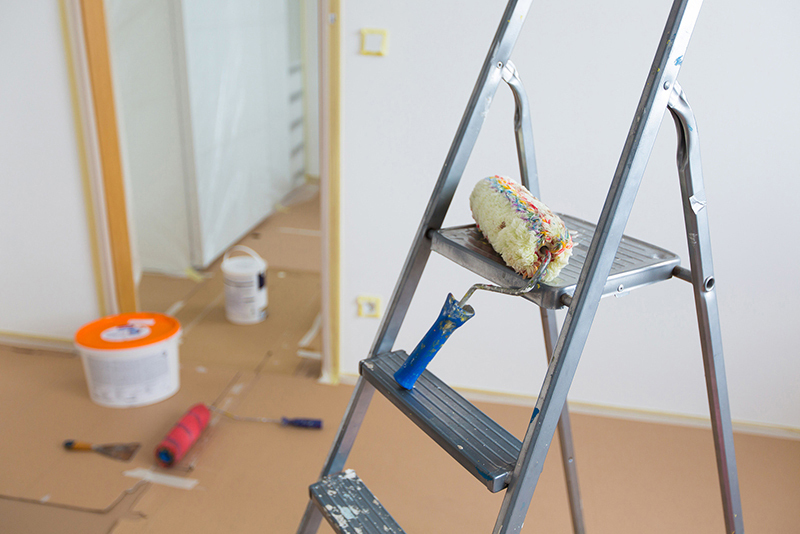 The dangers of ladders and maneuvering throughout a paint job can be very dangerous. Not to consider the uncontrolled variables (weather, foundation, etc) that can affect both the job and the danger level. Doing an exterior paint job yourself will take much more time than a professional paint crew who are trained, work together and have top-notch equipment to get the job done efficiently and timely. 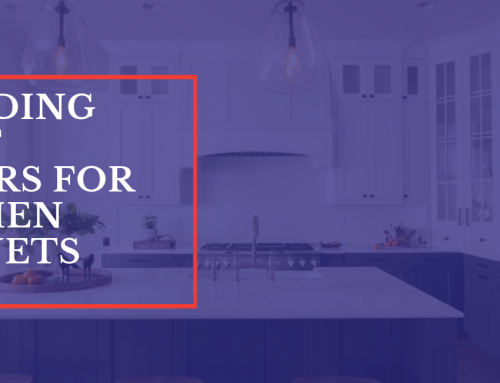 When planning for a paint job, think about the time, prep work, and materials that go into doing things like trims, molding, windows, cabinets, among others well. We’ve picked up on jobs that people give up on because they do not realize the time it will take to do it themselves. If you have extra time and are low on budget, maybe it’s worth giving it a try. However, if your time is worth more than the hassle, we suggest hiring a professional paint company to do it for you. 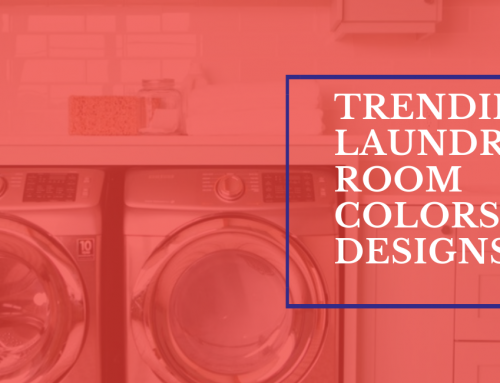 After considering the necessary materials for the project you want to complete, be sure to price out the cost of the rental or purchase of the equipment. Prep Cleaning Supplies: scrub brushes, pails, bleach, cleaning agent, drop cloths, rags, masking tape, etc. We applaud anyone wanting to take on a paint project themselves. 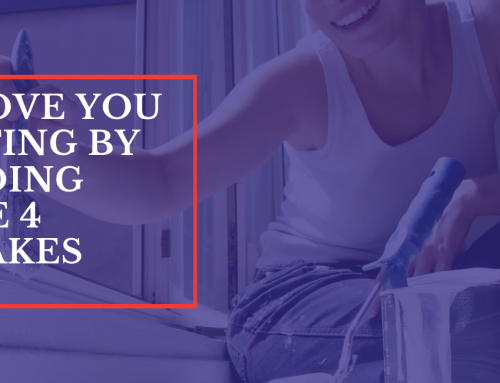 However, it’s important to consider why you are doing it yourself and if it’s worth the extra time and margin of error to rather hire a professional paint company. 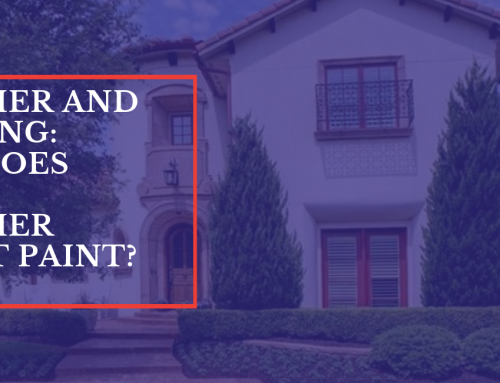 If you are in the DFW area, contact us and one of our area managers would be happy to meet at your residence to discuss your paint job and recommendations on if we can make the project a better experience for you.